That was quite a grand show on July 19th at the Rogers Centre for the Jay-Z & Beyonce “On the Run” Tour that spanned cities in North America (even Winnipeg just last Sunday and also France). I had already seen Jay-Z in Toronto with Kanye West on the Watch the Throne tour and then Jay-Z with Justin Timberlake on the Legends of the Summer tour. I also had the opportunity to see Beyonce’s solo show last year as well. 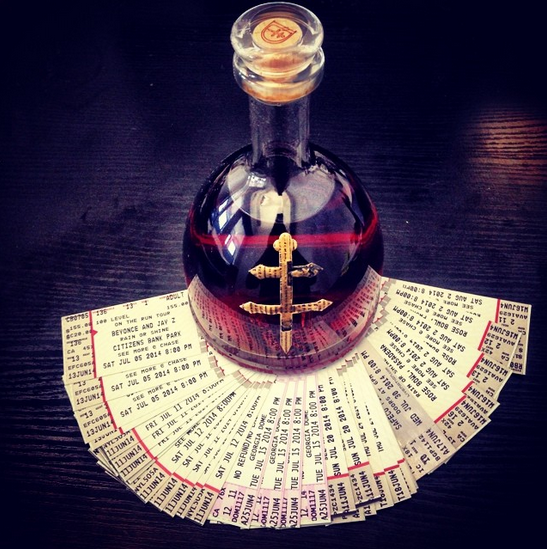 So I wasn’t planning to go but when you get an invite for the first Canadian taste of Jay-Z’s favourite cognac that is yet to be released at this sold-out show, you obviously can’t say no. And I’m glad I did because despite having seen them perform separately before, this power couple’s gave quite an ultimate performance. Opening with their now-classic track ‘Bonnie and Clyde’ circa 2003 – (it really doesn’t seem that long ago, does it? ), it was a great way to set the tone for the rest of the night with a total of 42 songs over 2.5 hours. It really didn’t seem that long. We sampled the fine D’USSÉ (pronounced “dew-see”) cognac cocktails while enjoying the impressive spectacle from the floor seats – standing the whole time, of course. The production value of the show was top notch as expected in terms of the lights, pyrotechnics, costumes, and dancers. Apparently Beyoncé’s Givenchy bodysuit made in Paris took 1,000 hours to bejewel [via Toronto Sun/People Magazine]. 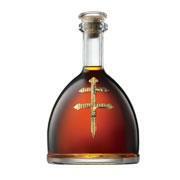 Stay tuned for retail availability of D’USSÉ in Canada. Enter your email address to subscribe to BestofToronto.net and receive notifications of new posts by email.